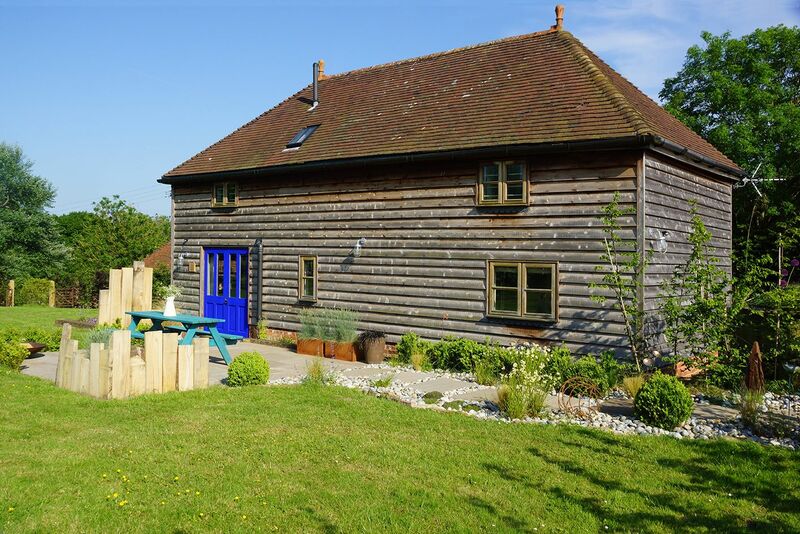 The Hay Barn (sleeping 4/5) and The Apple Press (sleeping 4) can be rented separately or together offering a peaceful retreat in East Sussex and a great base to explore the surrounding area. Converted from old farm buildings both cottages are reached down a private track and have their own parking area, terrace and private garden with a BBQ and fire pit. When renting together they can be linked via a gate at the bottom of the garden. Inside, the cottages are decorated with paintings from local artists and furnishings created by owner and textiles designer Zoe. There is heating throughout plus a wood burner in the living area, a fully equipped kitchen, free WIFI and Smart Freeview TV. On the farm there are hens, ducks, pigs, alpacas and sheep. We have a petanque pitch in the farmyard and beautiful walks along footpaths directly off the farm. For kids there is a hay stack for den making, a basketball net and various ride-ons, bikes and both outdoor and indoor toys. A separate storeroom provides the cottages with a communal utility area with sink, washing machine, tumble dryer and a variety of outdoor games. Set over 2 floors with a double bedroom, twin bedroom and a family bathroom with bath only upstairs. The ground floor has a large kitchen and living room with a wood burner and double french doors leading to the private terrace and garden. 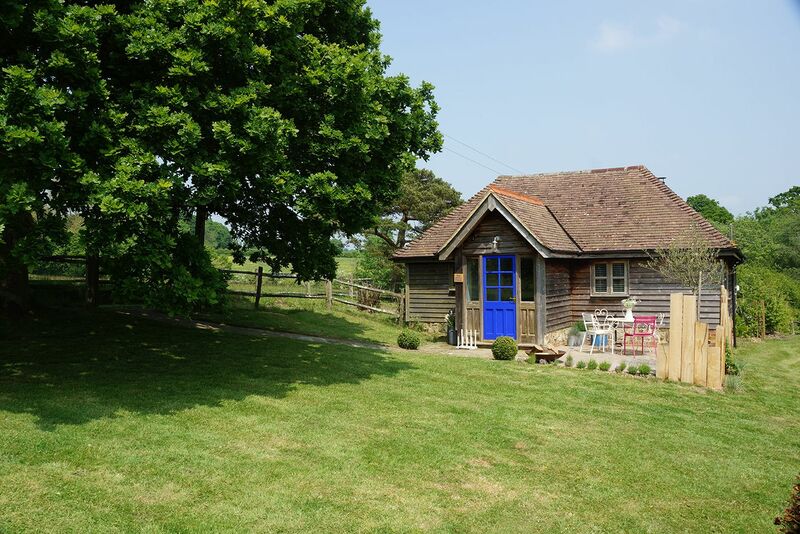 Arranged over the ground floor with one double bedroom, one twin bedroom, a family bathroom (bath only) and an open plan kitchen and living area with wood burner. Outside is a private garden, terrace, BBQ and firepit.